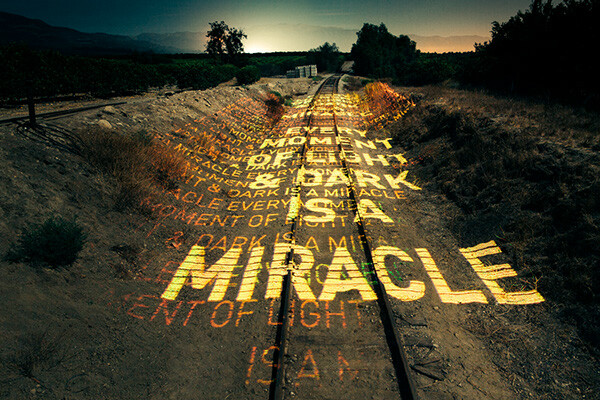 Traces of light are broadcast onto landscapes by a laser aboard a moving train. Space and time are collapsed into images which document the historical pulses of data in the form of light reflecting off earth and matter. A collaboration with Ben Tricklebank and part of Doug Aitken's Station to Station.